Dreaming of venturing Down Under, to the land of adorable koala bears and fierce kangaroos? 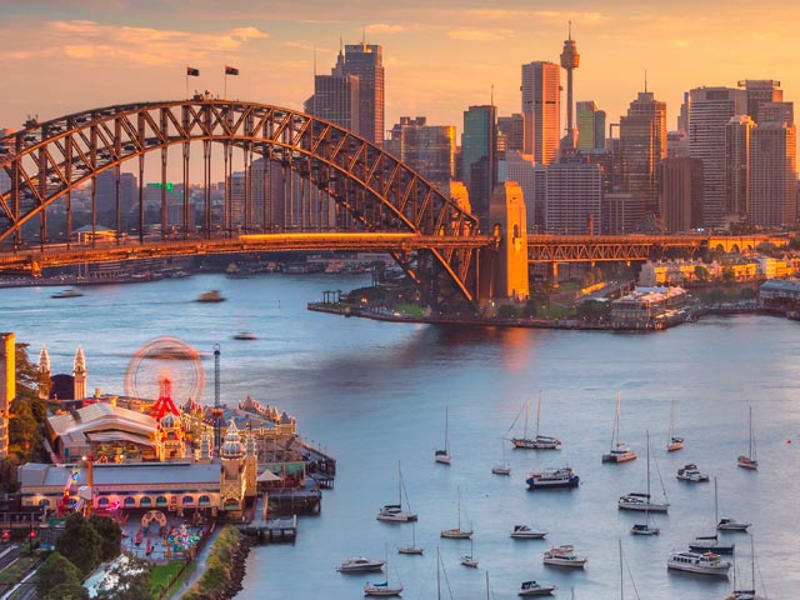 Australia offers you the best of both worlds, with glorious coastal cities and desert land. 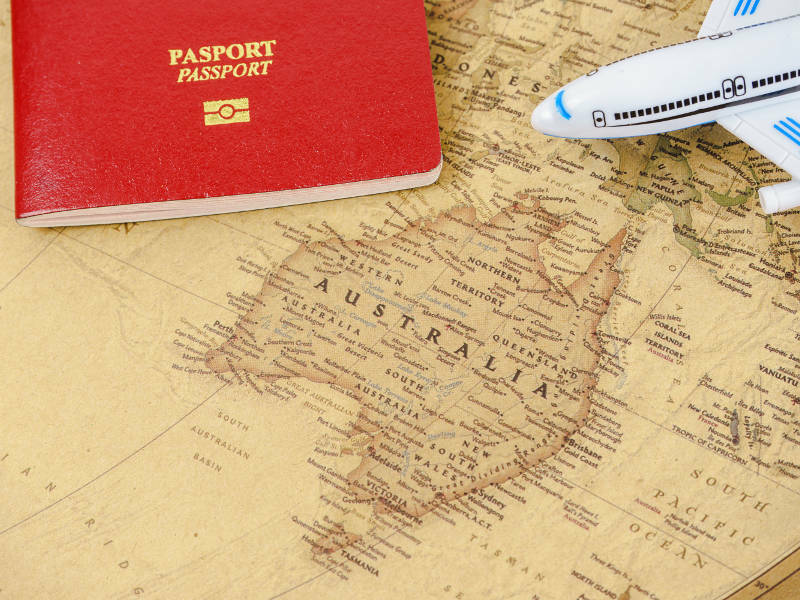 Perhaps your plans of booking a flight to Australia have been hampered by the reality of acquiring an Australian Visa. Well, now you have the advantage of simplifying the Australian visa process by following the checklist we’ve made for a short stay visa and business visitor visa. Soon you’ll be exploring the beautiful wonders of this diverse destination! 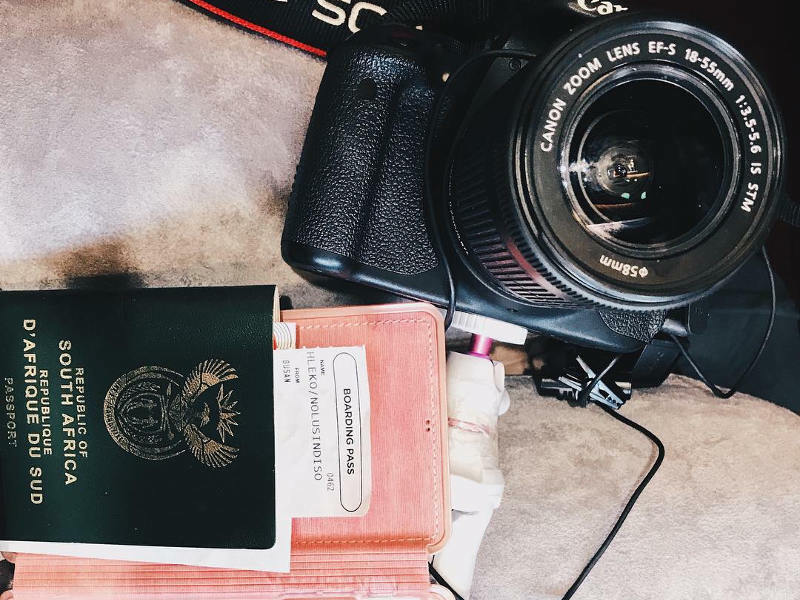 South African passport holders can apply online for an Australian visa or at a visa application centre in Pretoria, Johannesburg, Cape Town, and Durban. You should lodge your visa application well in advance (at least 4 weeks) of your date of departure. Travellers might be allowed to enter only once. In this situation, you will have to apply for a new visa if you wish to return to Australia again after you leave. 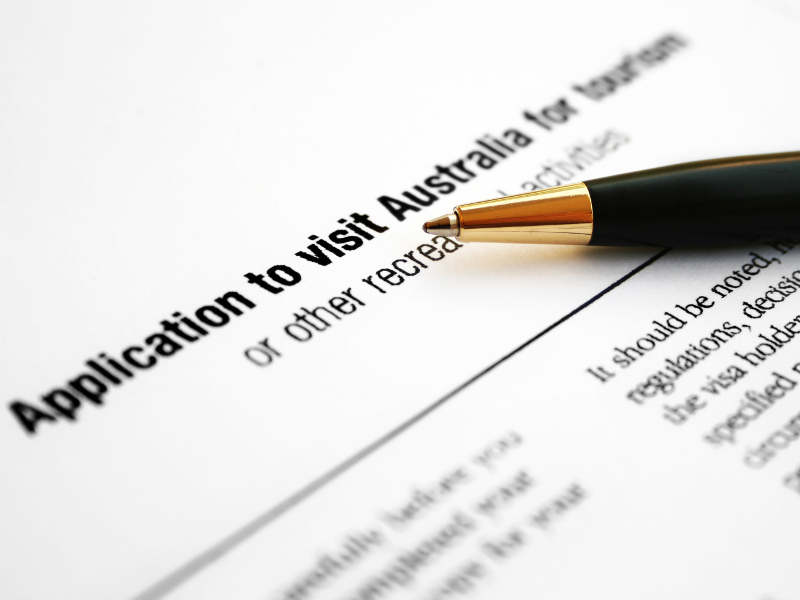 Travellers might be able to travel to and from Australia as many times as they wish while the visa is valid. However, the total time you spend in the country cannot be more than the period of stay that you have been granted. Your passport must be valid for 6 months beyond the date that you will enter Australia. Applicants are to make payment at the time of application submission. Please note no cash payment will be accepted, only debit/credit card payment. *Please note that Rand values are subject to the Australian Dollar to Rand exchange rate. Visa applications can be couriered to the Visa Application Centre in Johannesburg for an additional fee of R130. Travellers are advised to do their visa application online, by creating an online account known as ImmiAccount. You will be able to manage your online visa application. 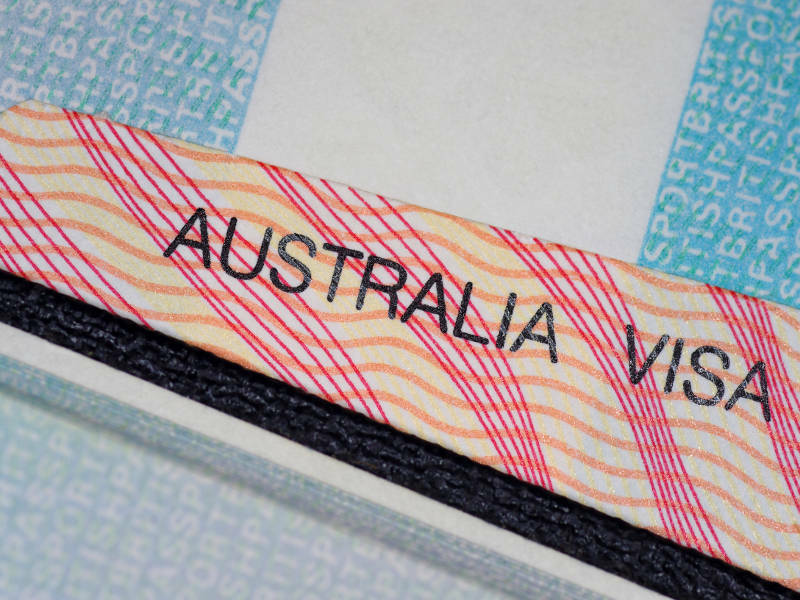 If you are unable to do an online visa application, the alternative method is by applying at a TLScontact Australian Visa Application Centre (AVAC). A completed and signed Form 1419 – application for general tourists. Certified copies of your passport – the biographical pages with the holder’s photo and personal details. A passport – with at least 6 months validity before the expiry date. One recent passport-sized photo (45 mm x 35 mm) – not older than 6 months. Proof that you have sufficient funds for the duration of your stay (recent bank statements, pay slips, taxation records or credit card limit). If you are visiting relatives or friends, a letter of invitation from your relative or friend in Australia. What Does the Visa Process Involve? Once at the Visa Application Centre, an agent will check that you have all the required documents. These documents include your passport, a completed application form, your appointment confirmation form, and any additional supporting documents you wish to be considered for your application. Make sure to provide certified copies of original documents. All documents that are not in English must be accompanied by a certified English translation. Should there be any documents missing, you can choose to proceed with your application or choose not to submit your visa application and re-apply at a later time. Visa and service fees are non-refundable once you have submitted your application. Once you’ve passed the document review stage, pay the visa application charge and the relevant services at the cashier. You will be notified directly by the Australian Visa Office (DIBP), once your application has been processed and a decision has been made. Upon collection of your documents at the Visa Application Centre, bring along your “Visa Application Checklist” provided by TLScontact, and an original ID document. If you wish to have a third party collect your documents on your behalf, she/he should bring an authorisation letter signed by you. All applicants who wish to stay in Australia for 6 months or more require an x-ray and medical examination. Afghanistan, Cameroon, Equatorial Guinea, Ethiopia, Iraq, Israel, Nigeria, Pakistan, Somalia and Syria. Where Can I Apply for an Australian Visa? You can apply at the visa application centres located in Pretoria, Durban, Johannesburg and Cape Town. Please note that the Australian High Commission in Pretoria is not open for direct visa application. You can reach the Australian visa application centre in Cape Town with ease by using the MyCiti bus service, metered taxis or Uber. There is off-street parking available behind the building that the visa application centre is situated in. Buses, metered taxis and Uber are available to get you to the Australian visa application centre in Durban. There is ample parking available in the adjacent complex. There are metered taxis and Uber available to get you safely to the Australian visa application centre in Johannesburg. If you’ll be driving, there is sufficient parking in the parking lot of the building where the visa application is situated. There is parking available at the entrance of the complex in which the Australian visa application centre in Pretoria is situated. The Australian Embassy is a 7-minute walk from the city centre of Pretoria. There are metered taxis, Uber and buses for you to travel to and from the Australian Embassy. Check out the City of Tshwane’s website for bus route timetables. If you’re travelling by car, there is parking available in front of the Australian Embassy (Pretoria) complex. Book an appointment at the Visa Application Centre by registering on their website. Usually, visa applicants can book an appointment for the following working day. This might change during high season. When applying through TLScontact, the entire application process at the Visa Application Centre should take about 30 to 45 minutes. The appointment includes the biometrics test. For this you would need to contact the Embassy or official visa handling agency direct. As they are the ones accepting the applications they will be able to advise accordingly. Good day. I Have a flight booked for this evening and i don’t have a visa as yet. I tried calling the embassy but no response. Sorry you struggling to get through to them. You welcome to read through our blog. Here we give all the info of contact details and address where you can go direct to the Embassy. Greetings. I want to travel to Melbourne in December. I want to lodge an online application. Will I have to submit the passport for a visa stamp or what? Secondly will I have to submit my bio metrics in person? Thirdly should I have an air ticket for the visa application? Should you have any other visa queries you welcome to contact the official visa handling agency direct. They assist with visa process’s and will be able to provide you with the most up to date information on the correct procedures to follow. I am from the Republic of Mauritius and wanted to visit Australia with my wife as from the 25th October 2018 to the 14th November 2018 for a special occasion. Our last visa was granted on the 22nd August 2013 and has expired on the 22nd August 2017. Actually I am having problem to submit my application form 1419 on line as the Australian Embassy visa office in Mauritius is no more dealing with application of visas. Please advice us how to process our application form 1419, the right amount for visa charges, mode of payment and etc. A quick reply will be much appreciated. I’m afraid we don’t specilise in visa application. For this you would need to contact the Embassy direct. If there is no longer an Embassy in Mauritius then best to contact the Embassy in South Africa to see what they advise. As they are the ones granting the visa’s they will be able to provide you with the most up to date information. My son is due to be in Australia on the 21 January 2019 for a working GAP year. All documents have been provided by the sponsors confirming his and their intents. He will need to apply for a Subclass 408 visa end of October 2018. Being in the Eastern Cape, Inland, Johannesburg/Gauteng is our closest option. The question is: what is required over and above the documents already in possession to go to Australia? What is the costs? and should one make an appointment and how long in advance should this be made? Passport – check/done – Just awaiting the police clearance. What about medical test – with who and when? Hoping to obtain some advice here…. For this you would need to contact the Embassy or official visa handling agency direct. They will be able to advise what all documents are required, correct procedures to follow and the cost involved. Do I have to provide a birth certificate when applying for a tourist visa? Here we give all the requirement one needs to have when applying for a tourist visa. You welcome to read through the blog however I do advise you contact the Australian High Commission direct for the most up to date information on requirements as this could have changed at anytime. i’m planning to visit my sister in melbourne in april 2019 so i wanted to ask if i can apply for my visa now . 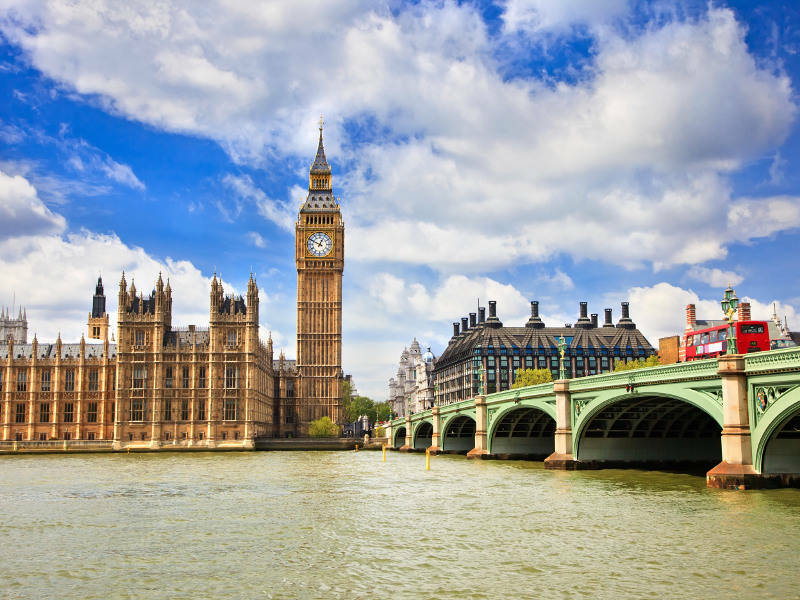 Usually one can only apply for a visa up to 3 months prior to departure. I do recommend you contact the Embassy direct as they will be able to provide the most up to date information. Nice post…i agree with you..
My son is in Cornwall in the UK, and will be coming back to SA on the 28/29 august. He is trying to apply for a Temporary Activity Visa (subclass 408) for Australia to be in Australia at the end of September 2018…He was in Australia in April 2018 on a visitors visa for 2 weeks. Is it possible for him to apply for another visa while in the UK? For this it’s best to get in touch with the Embassy. I’m not sure if this is still possible as well as it also depends on what visa your son is currently on while in the UK. As the Embassy’s are the ones granting the visa’s please contact them direct and they will be able to provide the most up to date information. I am currently completing my application on the ImmiAccount website. I am stuck at the “Attach document” section. It is necessary to attach a completed 1419 form ? Or is this form build into all the info that I supplied when filling in the 20 steps? As there is mention made of the 1419 form on the ImmiAccount website. So this would need to be completed when doing the application for the visa. You welcome to contact the Embassy direct as they would be able to provide you with the most up to date information confirming if they are still requesting this as before or if procedures have since changed. I know this post was long ago, but I wondering about the same thing? Did you get an answer on this? Will the form be created after filling in the previous 19 pages? I don’t think it’s possible to apply 6 months before date of travel. Best to contact the Embassy or official visa handling agency, they will be able to advise how far in advance one is able to apply for their visa. I have assisted my father with his online VISA application. They received a document stating that their VISA’s were granted. There was no mention of having to go for Biometrics… should this still happen, or only on request? If the Embassy has not asked for Biometrics as the time of application and your visa has already been granted this should be fine. However as we are not the ones granting the visa’s I would recommend contact the Embassy direct as they will be able to provide you with the most up to date information. I live in NZ with a NZ permenant residency . Hold a South African passport. I want to visit a relative in Australia . So I need a Australian visa . How do I go about it to get this visa. Please contact the Australian Embassy in New Zealand. They are the ones granting the visa’s and will be able to advise you on the correct procedures to follow, what documents would be required and the cost. I’ve looked under visa requirements when applying for an Australian visa however it is now stated the amount required. Please contact the Australian High Commission Telephone No	:	(012) 423 – 6000 or (012) 423 – 6060 (08h30-11h30) and they will be able to provide you with the most up to date information. I am going to visit my sister in Perth in May, upon checking now, my passport expires in April, so urgently going for a renewal. How long before i leave when dates are confirmed do i have to apply for my visa to Australia. We do mention the following in the Blog: You should lodge your visa application well in advance (at least 4 weeks) of your date of departure. and it can take for a Tourist (short stay) visa – 14 to 27 days to process. I would contact the Embassy and see how far in advance you can apply. Some countries you can apply up to 3 months prior to departure. This could also be for Australia. Our family who live in Cape Town, South Africa, need to attend our daughters wedding in Australia on the 21st April 2018. I have a 19 yr old son that is studying at Kenyon University in Ohio, USA. He will need to travel to Australia directly from the US! How do I apply for a visa for him when he has his passport with him or is the original passport not needed in the application process but just certified copies of it? Really appreciate you urgent answer! For this you need to contact the Embassy direct to see if he would be able to apply for an Australian visa in the US or if he would need to fly back home to apply. To my knowledge one this is one of the requirements/documents required when applying. The Embassy will be able to advise on the correct procedures to follow. I’m afraid we do not specialise in visas. For this you will need to contact the Embassy of the country you are thinking of moving to. They will be able to advise if it is possible to move there and if so what the correct procedures are, what documents are required and the cost involved. My ‘Online’ application was successful and confirmed. All I need to now is to make an appointment with a TLS centre. The webpage is not working and I cannot even find a contact phone number! Enjoy your holiday in Australia. Happy Travels! HI Martha – did you apply via IMMI? Did you have to supply an unabridged birth certificate even if you are almost at retirement age?? How did you get hold of TLS? I cannot seem to make an appointment via the website. It shows dates and times but you cannot select anything..
Did you just complete the 20 Steps on the website and attach documents? Did you physically fill in the 1419 form as well and attached that too? Please let me know what I am required to take with me when I go to the Australian Visa Application Centre to apply for a visa. I wish to visit my daughter and her family who recently emigrated to Perth.